When I was little, we used to live next to the school, which allowed me to wake up 15 min (sometimes even 5) before the school started. I jumped trough the fence with barely brushed teeth and ate my first meal during the first class hiding the sandwich under my desk. As I grew older my routine has naturally changed and now, being closer to 40 rather than 30 my morning ritual is completely different. I have found a beauty in what many people have been doing for so long and I never understood that. Wake up a bit earlier to enjoy your morning. I wake up and while still in bed, I drink up a large glass of water that I have prepared the day before. Then I go get a glass of hot water and drink that too. I take a third glass of water, go back to bed and check my phone (naturally) and start taking my morning supplements one by one (oyster mushroom for the immunity, spurulina, green barley, some cranberry stuff for my eyes and PH balance pills). These need to settle before I eat so I take my book and read for good 20-30 minutes. I found out that reading sets a very calm vibe to your day no matter your schedule. I do this until I get hungry and then I do my breakfast. Very often I eat them in bed – because – why not? When I sit at the table I am tempted to read or check my mobile. Like this I just focus on the food and the comfort of your sleeping zone … until it’s time to take a shower. Dress up, stand up and let’s go! I make a coffee to go a drink it in the car – habit I’ve had for years. Mornings are important, they set our whole day. Although it’s hard sometimes, it is only up to us how we decide to feel trough out the day. 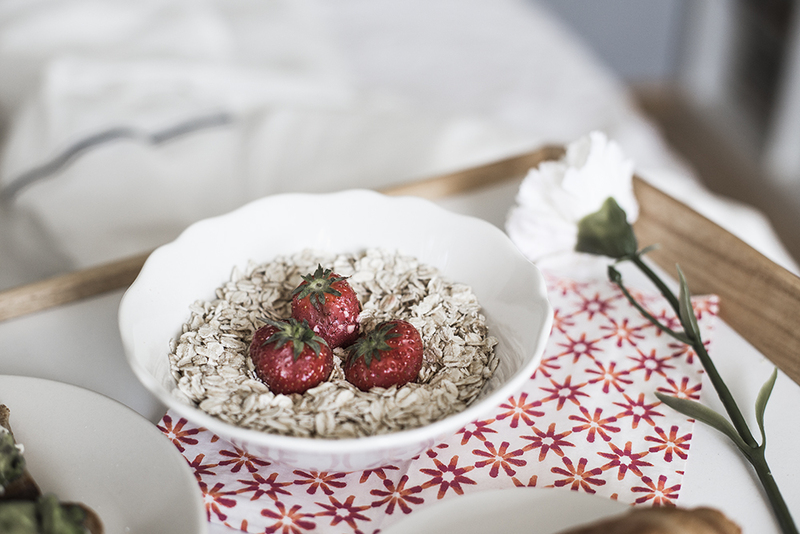 No matter how hard the days are – don’t forget that every morning is a fresh start!